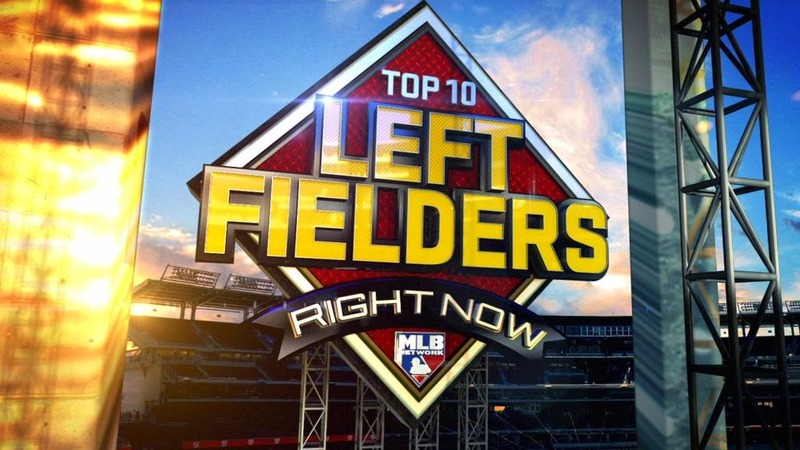 tonight, on January 22 at 10 pm EST, MLB Network aired a show entitled "Top 10 Right Now: Left Fielders." 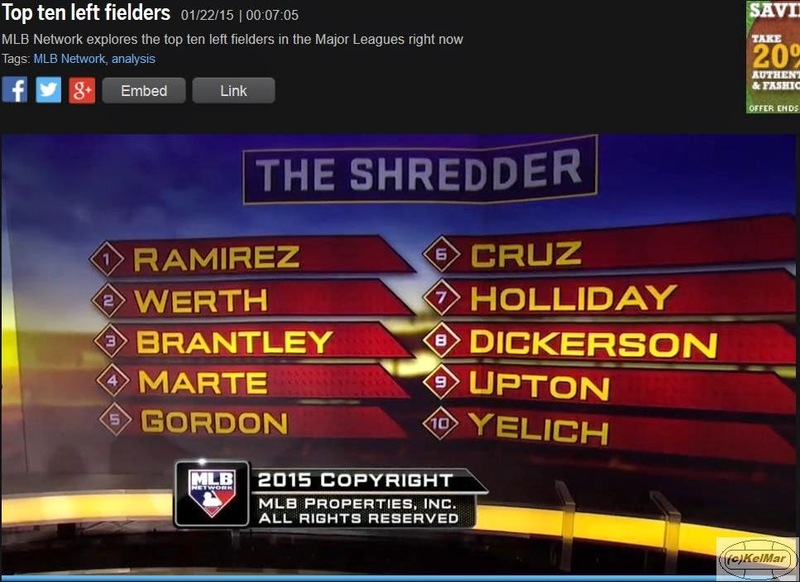 it ranked the top 10 left field players currently in baseball going into 2015 according to MLB Network's Shredder. The Shredder takes many statistical factors into consideration and operates without bias when compiling these rankings, much to the dismay of a lot of fans. needless to say, this isn't a list worth taking too seriously one way or the other. since this list includes players from both leagues, i also knew that he was going up against some stiff competition in the National League. here's my take. the fact that his .327 batting average for 2014 ranked 1st among major league outfielders and helped him finish 3rd for the American League MVP gives him a strong case to be high on this list. Michael was also 1st in hits and doubles, 3rd in total bases, 5th in extra base hits, OBP, and OPS, 7th in RBI and SLG, and he had the 2nd lowest strikeout rate among all outfielders in the bigs. switching over to Michael's defense, he was clearly the Indians' best defender last season as well, totaling 12 outfield assists, which tied him for 5th among all major league outfielders. the sabermetrics somehow make Michael out to be one of the worst defenders in the league, but you guys know i think that's ridiculous. without Michael's defense, the Tribe is much weaker, point blank period. so even with my obvious bias, i think you have to rank my boy in the top 3. i can even make a case for him being #1 lol so okay Shredder, i won't hate on you much for this ranking. congratulations, Michael! bonus fact: hosts of the show Eric Byrnes and Brian Kenny ranked Michael #1 and #3, respectively, on their own personal Top 10 lists. special guests Bill James and Vince Gennaro also had Michael at #1. smart men. btw, Michael is already in Cleveland, Ohio, and not just because Tribe Fest is this weekend. 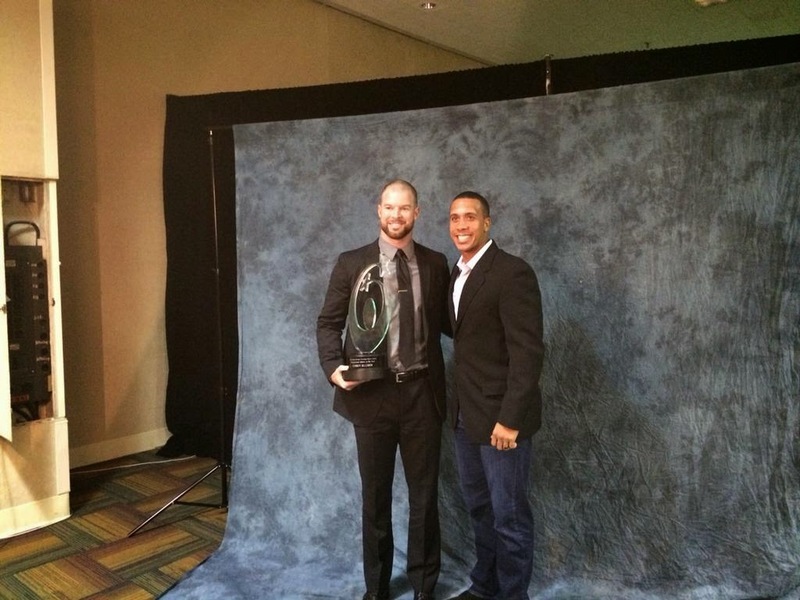 he was at the 15th annual Greater Cleveland Sports Awards at the Renaissance Hotel earlier this evening, and he presented Corey Kluber with the Professional Athlete of the Year Award! congrats, Corey!